Are your stores currently covered in EASTER stuff already? their Easter stuff out now. 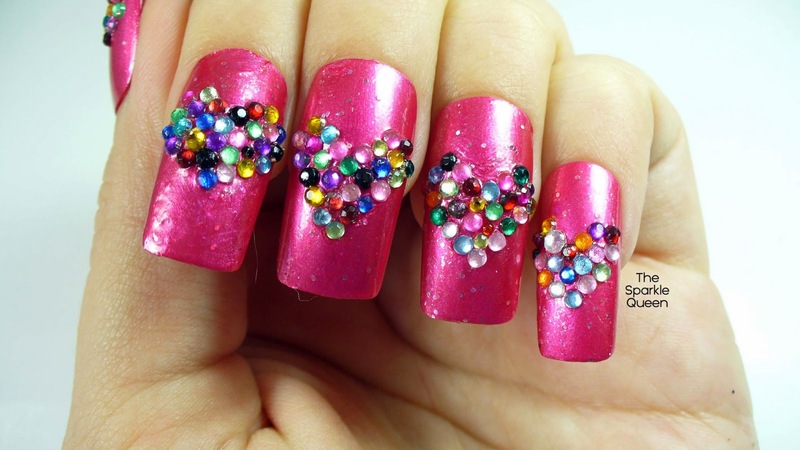 Valentine’s Day manicures, do you? I love how they came out, don’t you? as the glitter and rhinestone adhesive. 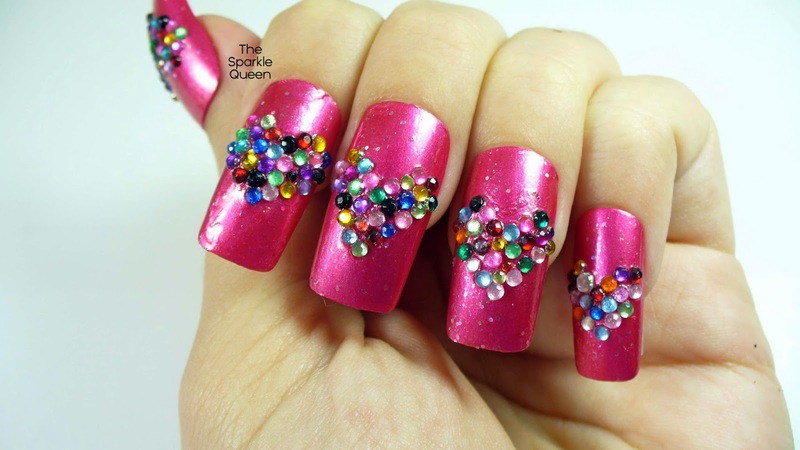 rhinestone on the nail and shaped them into beautiful hearts. 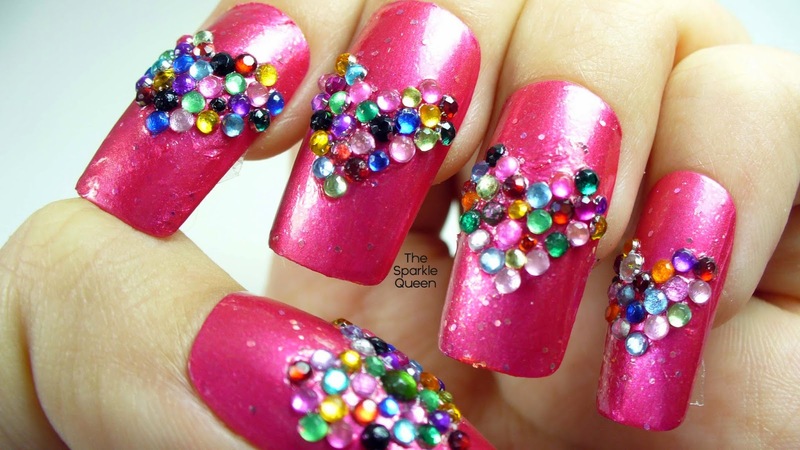 What do you think of this nail art look for Valentine’s Day? Beautiful! Did you freehand the heart shapes or use some kind of stencil or guide? These are so you! 🙂 When I read Hearts of Stone as the title, I was picturing a far less blingy look, but I should've known better! Very cute! Thanks love! It gets easier with practice, I promise! Well thank you 🙂 I love a bit of sparkle on my nails! These are fantastic! I love it.